The Trent Black Raccoon Classic Coat for Men offers optium class. Genuine dyed Black Raccoon fur is full and dense for cold weather wear. A tuxedo slit in the back is fashionable and breezy. The silky satin lining features an interior pocket with leather accenting. The exterior features a fold down collar with a lapel embellishment. The front is equipped with two side entry pockets and three front button closures. This dramatic design is lengthy to pair over a suit or simple jeans. The classy style is great for your new winter wardrobe. 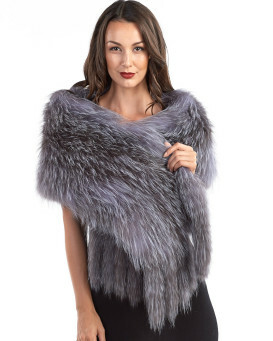 Crafted in dyed black Raccoon Fur; Long guard hairs and a heavy undercoat result in extra warmth in the snowy season!